Most people, especially seniors, believe that they should not engage in muscle building activities, such as using free weights. 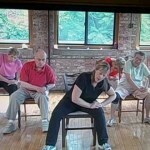 In fact, activities for seniors that involve muscle building and muscle strengthening exercises during seniors years will be very beneficial. 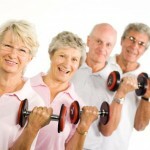 About 1 pound or ½ kilogram of muscle is lost every year in people who are older than 50 years old. 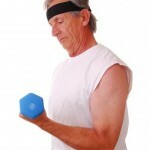 One type of free weight that can be easily used by seniors are dumbbells. Dumbbells can be used in several different ways, to perform different exercises that can focus on various muscle areas, and its weight can easily be adjusted, since dumbbells come in either fixed weight or graduated weight (weighted plates can be used to adjust the weight). The normal process of aging causes muscle weakness in seniors, however, by doing muscle building and muscle strengthening exercises, muscle strength in seniors can be possibly maintained. 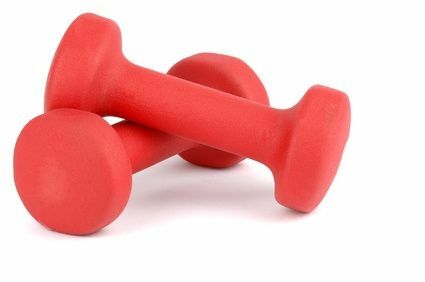 Doing dumbbell exercises can also promote full range of motion, which can be very beneficial in improving stabilizer muscle strength, improving bone density by retaining more calcium in the bones, improving balance and endurance, controlling blood pressure, and maintaining cholesterol blood levels. Exercising can also help in increasing endorphin levels into the bloodstream, which can keep depression at bay. Since seniors are more fragile and can get tired faster than people who are younger, they should have at least 48 hours of resting period for each muscle group that they worked on. 48 hours of resting period for specific muscle groups can help in muscle recuperation and it can stimulate the growth of muscles. Dumbbell exercises or routine in seniors is ideally done at least 3x per week for approximately 30 minutes to 45 minutes. In choosing the weight of the dumbbell, it should be done in every exercise routine. Dumbbells should not be heavy in a way that it can prevent a senior from completing the routine, and it should also not be very light.